Takeaway: If you're paralyzed by indecision or fear of the future, your ajna, or third eye chakra, may be misaligned. These techniques and asanas can help balance your ajna and give you clarity on your path forward. Do you ever feel paralyzed by indecision? Is your problem not a lack options, but a lack of clarity about which options to pursue? Do you ever just wish you could just surrender, and let someone wiser tell you what to do? If this sounds familiar, balancing your ajna may help. Ajna is the Sanskrit name for your third eye chakra. Located at the brow point between your eyes, it is associated with inspiration, as well as insight and intuition. When ajna is in balance, we experience deep understanding of our inner and outer worlds. While our physical eyes are associated with the past and the present experience as it unfolds, it’s said that ajna looks to the future. Freed from the distractions of doubt and confusion, we can visualize our next steps with confidence and clarity. 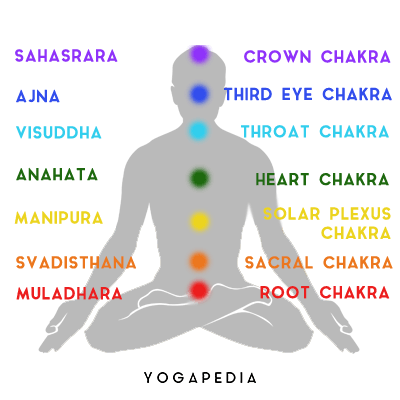 Even if you don't resonate with the concept of chakras, you can think of ajna in more tangible terms as your inner wisdom, imagination and intuition. What Happens When Ajna Falls out of Balance? Most typically, our ajna can become under-active causing us to lose our connection with our own true wisdom. This leads to the experiences described above, feeling lost and without purpose, ultimately even succumbing to depression. Less common, but still possible is the opposite, where ajna is overactive and needs calming. Overactivity causes us to become too introspective and judgmental. We may lose our connection with others and become dissociated from the manifest world. How can We Bring Ajna Into Balance? The good news is there is a lot you can do to support, nurture and balance ajna. Any meditation, mantra or yoga practice can be performed with a focus on the brow point, encouraging your inner eye to come into balance. Hakini mudra is associated with ajna and is thought to promote the awareness and focus that leads to better insight and intuition. 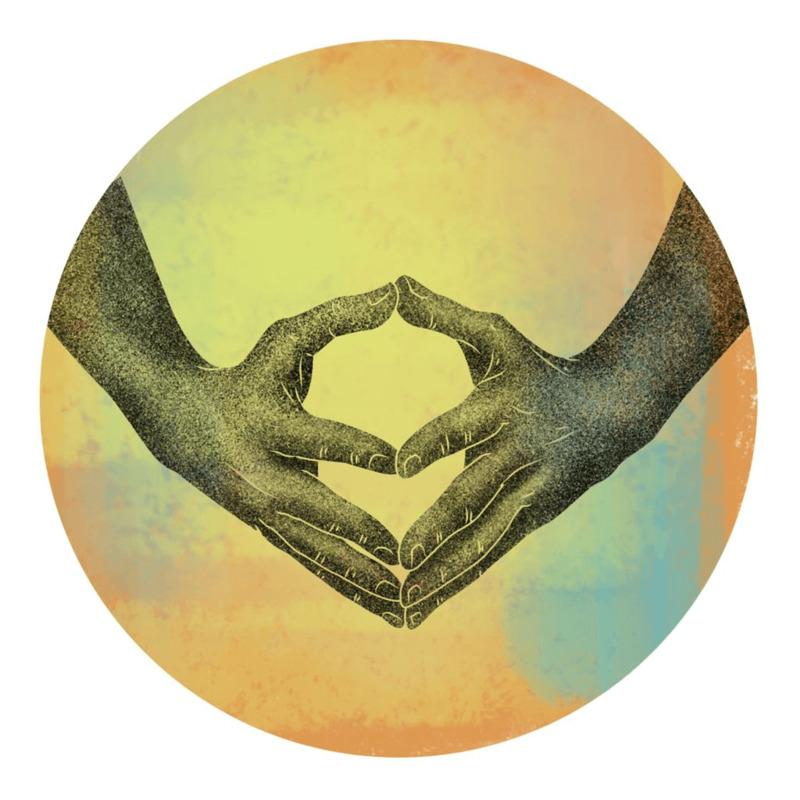 It’s also a mudra that many people will intuitively adopt when thinking deeply - perhaps they sense its benefit in connecting with wisdom and insight. To practice it, bring the hands together with the fingertips and thumb tips in contact, and space between the palms. Have the thumbs pointing towards the body, arms relaxed and elbows pointed out the the sides. Hold the mudra for several minutes in meditation. Place the index and middle fingers of your right hand on the brow point, to keep the focus on ajna. Close your right nostril with your right thumb and inhale through the left nostril for a count of four. Close the left nostril with the left ring finger, release the right nostril and exhale for a count of four through the right. Keep the left nostril closed as you inhale through the right for a count of four. Close the right nostril with the thumb, open the left nostril and exhale for a count of four. Repeat the steps 2-5 for several minutes, perhaps increasing the count to 6 or 8 to further calm and steady the mind. Once the breath practice is complete, allow yourself a minute to return to your natural breath, and tune your awareness into your present experience. Balasana or child’s pose is the pose most often associated with ajna. This is for two main reasons. Firstly, the forehead can come to the mat, physically grounding the brow point and connecting it to earth. Gently rocking the head from side to side can give an extra massage to this area. Secondly, child’s pose is a gentle and supported forward fold. Forward folds can help encourage introspection and self-study. Other forward folds that can help balance ajna include uttanasana (standing forward fold) and prasarita padottanasana (wide legged standing forward fold). Placing a block or bolster under the forehead will provide additional stimulation. Meditation is already a powerful practice for awakening and connecting with ajna. To enhance this, begin your meditation with a visualization of the third eye chakra as a radiant ball of indigo light swirling at the brow point. Imagine this spinning vortex growing brighter, as the light radiates into every cell of your being, then gradually allow it to resettle into the ball at your brow point, perfectly balanced and in harmony. Another meditative practice that can be beneficial is trataka. Sit in front of a lit candle and settle your gaze on the flame, holding it there gently without blinking for around two minutes. Then close your eyes and continue to see the flame in your mind’s eye. This is thought to open and enhance the power of ajna. Yoga and mediation are all very well, but what about when you want to integrate a bit more intuition and insight into the rest of your day? Fear not, there’s lots you can try. The smell of patchouli, myrrh and frankincense are all associated with this ajna. Try scenting your home with these essential oils or placing a few drops on a scarf or your pillow. The color of ajna is indigo, so wearing indigo clothes may help you maintain that connection. And if you find yourself with a little free time in the evening, both stargazing and listening to classical music are said to be good for balancing ajna. If nothing else, they’re great ways to relax and recharge, which is bound to help you reconnect with your own wisdom and imagination. Remember as you move through these practices to be gentle with yourself. The only objective is to stay present with your experience. Your intuitive power is already within you, so you don’t need to force it to come to the fore. Instead, trust that it will awaken, and simply give it the space and encouragement it needs. Try to let go of any expectation of effect, but at the same time be open and receptive to any insights that may arise. In time, with attention, practice and sensitivity, you’ll receive the guidance and clarity you need.